A sudden move to electric cars in India, which is considering electrifying all vehicles over the next 15 years, could catch Japan's Suzuki Motor Corp out in its largest market. 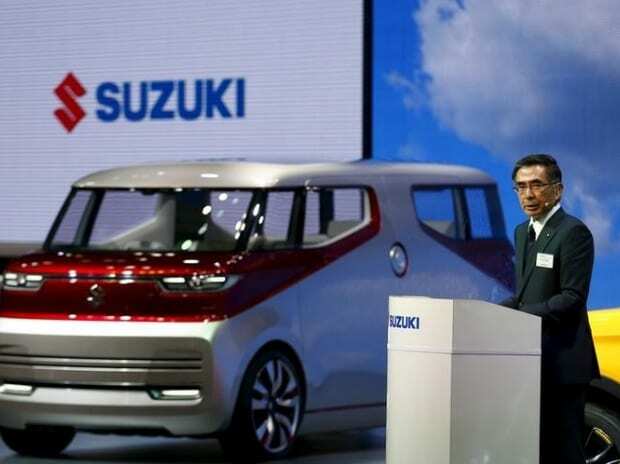 "As the industry shifts towards EVs (electric vehicles), when it comes to India, our volumes are so large that I worry that we could be caught flat-footed if there was a sudden shift towards electrification," CEO Toshihiro Suzuki said on Thursday. India appears to be focusing on electric vehicles in a shift away from a government policy that incentivises both hybrid and battery-electric cars. Suzuki, which makes the Baleno compact hatchback and the Vitara Brezza compact SUV, dominates the Indian market through its majority stake in Maruti Suzuki India Ltd, the country's largest automaker, but neither produces battery-electric cars at the moment. Current sales of electric cars in India remain negligible, mainly due to the high cost of batteries which make the vehicles out of reach for many buyers in a country where cars can cost Rs 250,000 ($3,868). A lack of charging stations is also likely to slow the introduction of EVs. But while strong sales of gasoline-powered vehicles in India drove a record quarterly operating profit at Japan's No. 4 automaker and prompted a 25 percent upgrade to its full-year profit forecast to 300 billion yen, which would be an all-time high, CEO Suzuki said he was "anxious" about the future. "Our results may be what they are, but they don't offer me much comfort," he told reporters at a results briefing. Suzuki earlier this year announced it was in talks with Toyota Motor Corp to trade expertise in parts supplies and R&D as the compact car maker has admitted it has struggled to keep up with rapid developments in non-petrol engines and self-driving cars. A rapid tightening of Indian regulations on petrol vehicles could have a big impact on Suzuki, which generates roughly half of its global sales in the fast-developing country. In the three months to September, sales in India jumped 19.4 percent to 457,000 units. In Japan, sales increased 6.2 per cent. For now, booming demand in India would continue to boost Suzuki's bottom line, and the automaker raised its interim dividend to 30 yen per share, up 8 yen per share from a previous forecast, and said it expected it full-year dividend to increase to 60 yen per share, up 36 per cent from last year. Solid sales in Asia also helped Mazda Motor Corp, which raised its full-year vehicle sales forecast for China even as it expects slower sales in the United States, it's largest market where it is struggling to sell its sedan models. Japan's fifth-largest automaker reported a 1.9 percent rise in operating profit to 36.6 billion yen for the second quarter, supported by a weak yen while strong demand in China and at home offsetting sluggishness in the United States. Net profit fell 23.5 percent to 26.7 billion yen during the quarter, due largely to costs associated with a U.S. settlement reached over claims related to Takata Corp air bag recalls. Mazda kept its forecast unchanged for full-year operating profit to rise 19 percent to 150.0 billion yen, but it revised its yen assumption rate to 110 yen to the U.S. dollar, from a previous forecast of 108 yen.